Sam Sasan Shoamanesh is the Vice-President of the Institute for 21st Century Questions and Managing Editor of Global Brief magazine. He is the Chef de Cabinet to the Prosecutor of the International Criminal Court (ICC). 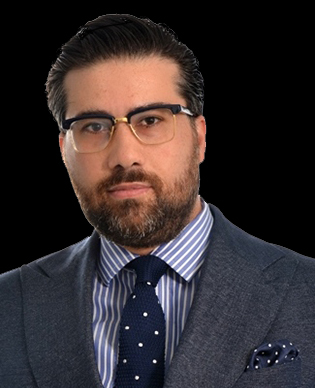 As an attorney specialized in international law, he has served the ICC in different capacities since 2005. He has also worked for a number of other international judicial bodies, including the UN International Criminal Tribunal for the former Yugoslavia and the International Court of Justice. In 2011, he initiated and co-organized the first regional diplomatic conference on the ICC in the Middle East, hosted in Doha, in cooperation with the League of Arab States and the government of Qatar. Shoamanesh has held several international consultancies and has published widely, with a particular focus on the Middle East. In addition to book chapters, his writings have appeared in, amongst others, The Globe & Mail, Al Jazeera, Al-Monitor, An-Nahar (Arabic), Frankfurter Allgemeine Zeitung, Carnegie Council for Ethics in International Affairs, Iranian Diplomacy, Huffington Post , and the Harvard International Review. He holds degrees in political science from York University, an LLB (Common Law) and LLL (Civil Law) from the Faculty of Law, University of Ottawa, as well as a Master of the Science of Law (JSM) from Stanford Law School. He has also been trained in international law, diplomacy and negotiations at the École nationale d’administration (Paris), Harvard Law School, the University of Oxford, the University of Cambridge, the Jordan Institute of Diplomacy and The Hague Academy of International Law. Shoamanesh is an inaugural member of the Council of Advisers to the Global Institute for the Prevention of Aggression. He is the recipient of the 2012 Arthur C. Helton Fellowship, awarded by the American Society of International Law, as well as the 2013 l’Ordre du mérite, the highest distinction awarded to alumni by the Civil Law Section of the Faculty of Law, University of Ottawa. He was selected as Munich Young Leader (class of 2017) at the 53rd edition of the Munich Security Conference.